New York Times bestselling author and award-winning leadership performance coach, Debbra Sweet, said flying head first into a concrete wall at age 18 saved her life while the subsequent 30-year fight to overcome significant health disruptions fueled her victories. Today she leads leaders with cutting-edge insights. She overlay’s subconscious change, neuroscience, and business growth strategy skill sets to empower leaders in their Goal Achievement. Always innovating, she takes tough subjects and makes them easy for her audiences to understand and apply. Everyone has a tragedy at one time- but not all create a comeback, and most do not trailblaze their recovery to come out stronger than ever before. Ms. Sweet, a lifelong innovator, and visionary leader is no stranger to triumphs and trauma that impact both personal and professional outcomes. She’s lived through the same struggles most leaders and entrepreneurs grow through and more. But she’s not one to sit quietly on the sidelines. Her most recent triumph was trailblazing through the adversity of unknowingly living with and now since rehabilitating from a severe traumatic brain injury; finding the cure, raising a family, overhauling her companies and serving clients. 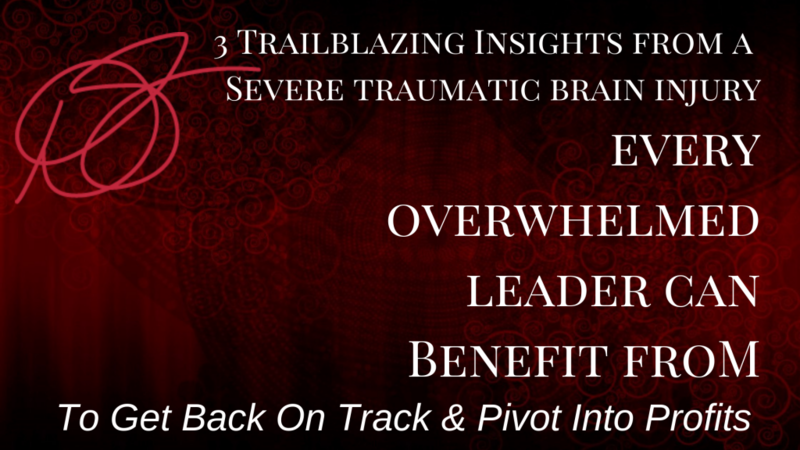 During her journey to walk, talk and remember clearly again, she gained a unique glimpse into how the brain ‘sees.’ Her powerful, cutting-edge insights of brain rebuilding, sabotaging patterns, neuroscience, overlaid with proven business growth strategies, catapults prosperity, shortens learning curves, removes overwhelm, breaking status quo thinking that flatlines leaders, companies & projects. She is a substantive, engaging speaker who coaches, trains & teaches leaders How to Rebound. Rejuvenate. Recover. Renew. Overcome Obstacles & Be Strong. This emotionally engaging presentation reveals 3 Powerful and much-needed insights that today’s overwhelmed professional needs. Knowing you are overwhelmed is one thing. Knowing how to stop the overwhelm is another. To move from overwhelmed to on fire and unstoppable- requires getting at the root, the heart, the soul of the influences causing the overwhelm. Debbra is trailblazing how to do life in business and is an inspirational example of how to triumph along the way. 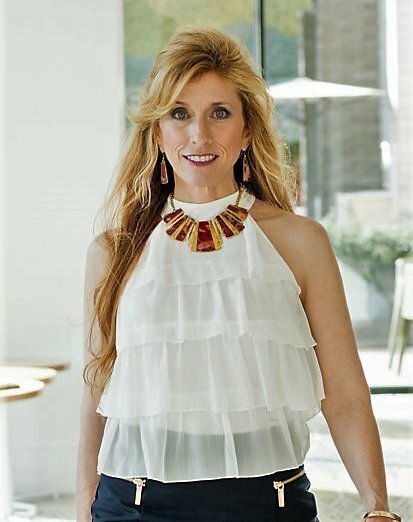 She will connect with your audience to share her compelling real-life story that will reveal what lies beneath the brain causing the overwhelm. Overwhelm feeds disconnect. 77-83% of people are living in a state of disconnect, and that has a ripple effect professionally and personally. Her message of how to recognize & REMOVE the influencers of overwhelm creates a powerful pivot for your audience. Whether your day to day has too many ‘to do’s or you are deeply mired in a fog of defeat, Sweet knows how to guide you safely back on track, and inspire you to pivot back on track so you can be strong for the long haul. Compelling, compassionate, refreshing, encouraging, inspiring- this Trademark Talk showcases the hallmark triumph over tragedy Sweet lived through. The content is geared for all audiences and will move ‘get it done’ people towards resolution from the disconnect in their life and business. It can make your entire organization shift into high-gear, both personally and professionally. This presentation is scalable for a 30, 60, 90-minute presentation or break out segment at your next conference or event. ARE YOU Ready to Deliver a Speaker who engages WITH your audience? Want to create raving fans around the choices of content you bring to your event? Contact Debbra today to discover how she will help you achieve your event goals with clarity, endurance, & precision, so you cross the finish line strong!